In a puddle of tears and confusion, I've come to grasp with the fact that I can't recommend one single game above 2 others in my mind. After trying to stuff all 3 games in one blog, I've found instead of presenting a wall of text comparable to a masters thesis I'd break it up over the month of December. SO! In this short 3 part series, I'd like to go over those 3 games, each coming with a glowing recommendation from myself, and try and convince you that these games are worth your hard earned loonies. is half the strength of the game. The other half, is the brilliantly complex and compelling physics system. It adds difficulty and challenge to the simple ship building. Sure it's easy to snap a solid rocket booster to a capsule and get a few hundred feet in the air, but the real-world esque physics demand more from your mind, and your rocket. Getting to orbit around the planet is a task and a half. 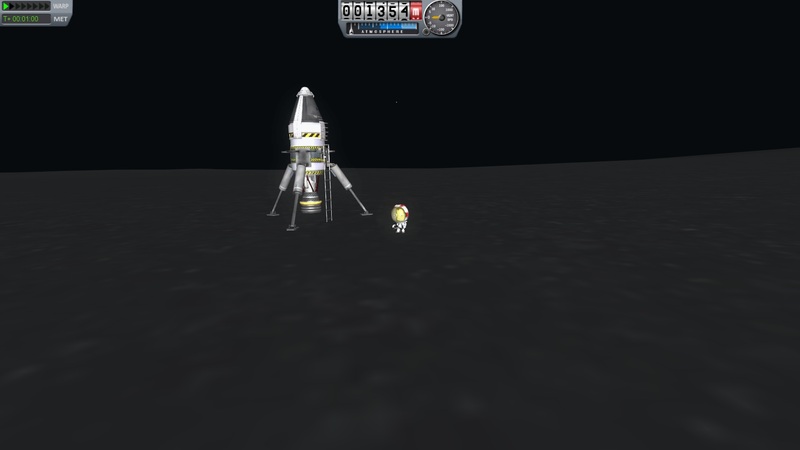 Getting to mun (ksp's version of the moon) is one thing. Properly constructing a lander module to safely land and get back is another task all together. Since version 0.17 came out, they've added a substantial amount of planets and celestial bodies to explore. The recent release 0.18.1, has added ship docking (so you can build an international space station!) and the possibilities and challenges keep on growing. Here is a quick little video I did when I first got the game. This is one of my first flights ever. Lastly here, I'd like to give a shout out to the sub reddit for the game. They have a great friendly community, with lots of information and can be found right here. A simple ship building game, with impressive physics. Incredibly low barrier of entry, with a seemingly endless skill roof. KSP is a simply amazing game, made by dedicated developers, who are set on not releasing the full version until everything is ironed out. Get it while it's still cheap! The developers have indicated they are going to raise the price once more before retail release.